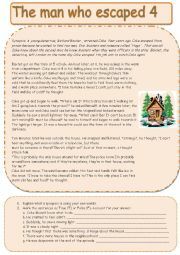 The fifth worksheet in a set of 25.A detective story for students to learn new words and get practice in reading, understanding, as well as in some grammar points: prepositions of place, describing a room, order of adjectives, Past Simple and Continuous.Key included.Hope your students like it! The 3rd worksheet in a set of 25. 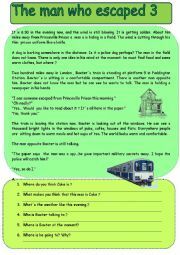 A detective story from the seventies with reading and understanding activities, as well as some grammar exercises focusing on Present Simple and word formation.Hope you like it! 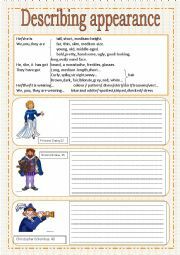 A report on someone´s holidays to fill in with the correct verb tenses. It´s fully editable. Hope it´s useful...Thanks for downloading it! 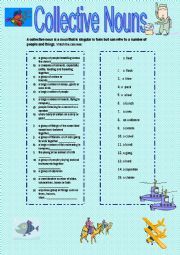 Here´s a table including some basic vocabulary on physical features and a writing activity to describe some famous people.Artwork by Phillip Martin (thanks!). Merry Christmas to you all, dear friends! 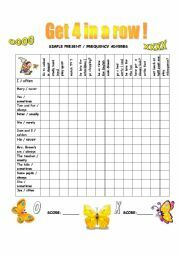 Another useful worksheet for beginners to revise the verb have got in every form, school objects, dates, months and seasons, the indefinite article. 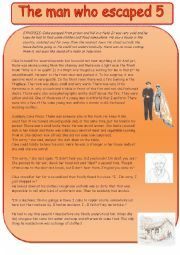 thanks for your comments!And thanks to mycutegraphics.com for the clipart! Have a great weekend! 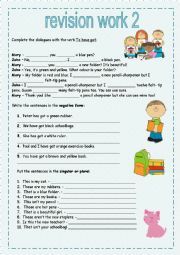 A worksheet for 5th graders to revise the verb to be,affirmative, negative and interrogative forms, word order, countries, nationalities and the prepositions of time. The designs are from MyCuteGraphics, thanks! Happy Easter! Regards from rainy Portugal! Kids love this game! 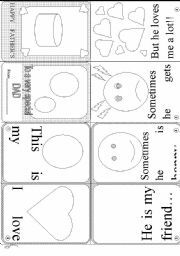 Divide the class into 2 teams, each team starts playing by choosing a square and building a correct sentence with the words provided, both across and down. If they build a correct sentence, they can mark the square with O or X. When they get 4in a row, they get a point. the team with more points is the winner. Enjoy!